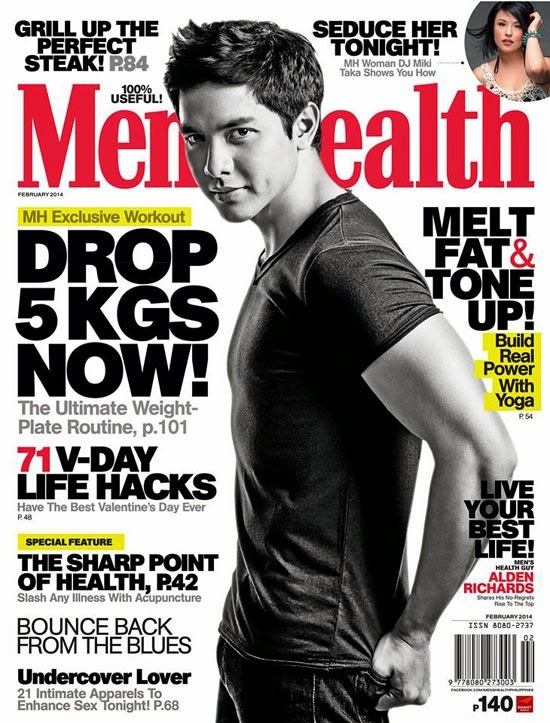 Actor Alden Richards is on the covers of Men's Health and Garage Magazine on their February 2014 issue. On Men's Health magazine, Alden shares how he turned things around despite the personal tragedy he experienced early on in his life. Also inside are articles on why men should do yoga and Valentine's Day hacks so that you can plan an awesome date with your partner. We even have a weight-plate only workout for you to try as well. While on Garage magazine's 5th Anniversary Young Talents Special, Alden Richards shares the cover with Elmo Magalona, and Enrique Gil. Alden Richards can be seen in the upcoming GMA primetime series "Carmela: Ang Pinakamagandang Babae Sa Mundong Ibabaw" with primetime queen Marian Rivera. You have read this articleAlden Richards with the title FEBRUARY COVERBOY ALDEN RICHARDS. You can bookmark this page URL https://thehalflifeoflinoleum.blogspot.com/2014/01/february-coverboy-alden-richards.html. Thanks! Comments "FEBRUARY COVERBOY ALDEN RICHARDS"